Source: Review copy from the PR company. I read this in December and it's still a book which is close to my heart. Pearl is always arguing with her mum, but of course deep down they love each other very much. Her mum Stella is pregnant, and Pearl is loving buying things for the new baby with her best friend Molly. That is, until tragedy strikes the family, and nothing will ever be the same again. 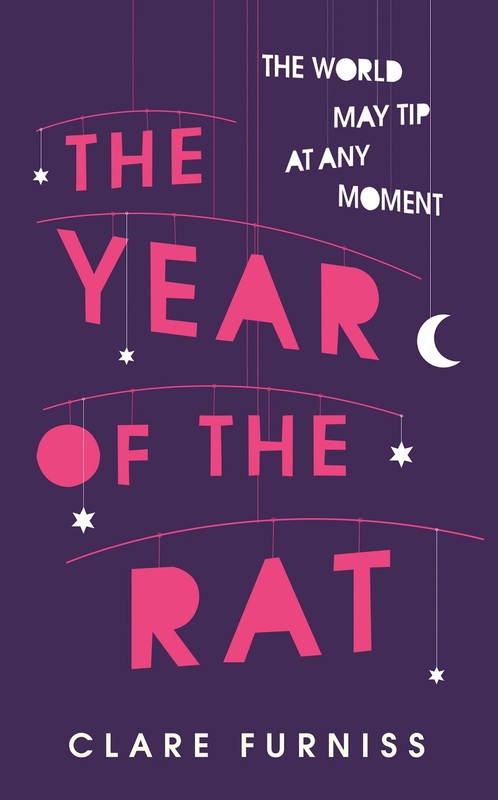 To put it simply, The Year of the Rat will slice through your heart and then tug on the strings. The remarkable, dramatic and terrifyingly realistic plot will draw you in like cheese luring a mouse to a trap, and once you're immersed in the story, you can't escape. Gritty, empathic and thought-provoking, don't expect this book to be a delightful, cosy read, because it's not. 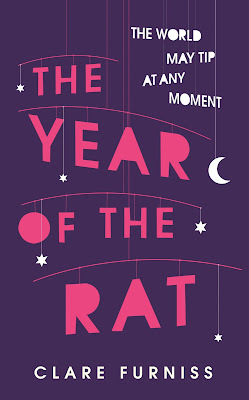 The Year of the Rat will throw you straight into cruel reality. It took a little while for me to properly get into this novel, but once I was in I couldn't stop reading. I truly empathised with Pearl - in fact, I've never understood a character as much as I did with Pearl - and I felt every stab of pain that she did. Furniss has written all of the characters brilliantly, but especially Pearl, and pure emotion flowed from every page. I think this novel will stay with me for a very long time. If you're looking for a light, happy read then this book isn't for you. On the other hand, if you're looking for a book with strong morals which will change your way of thinking, I definitely recommend giving this a go! It's stunning. I was also quoted on the cover of the book! 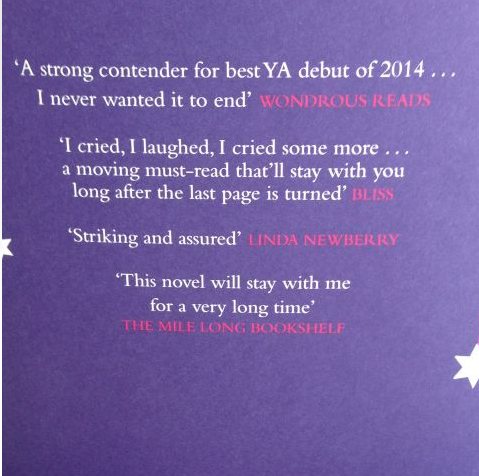 I had no idea my quote had even been considered, so it was a lovely surprise. While I'm here, I'd just like to remind you that if you're a book blogger you might want to check out the Blog Notes Project, which I launched a couple of days ago. I was offered to read this book a while back but I declined. I might give it a chance after such an amazing review! This is one of those books that I feel would stick with me for a long time. I've wanted to read it for quite a while and I often find that books that relate to death have a dynamic to them that is so unique that you either love the book or hate it. Personally I believe I'd love this book and am definitely going to look into buying it. Amber, this is such a beautiful-review! The mouse-in-a-trap metaphor was perfect; I loved it! Definitely need to pick this up - and congratulations on the cover-quote!